Doctor Who fans are having a very good year. A few weeks ago a missing Dalek episode was re-discovered, and now dozens of off-screen photo's from another missing story, the seven-part historical epic Marco Polo, have also been found. Long before domestic video recorders became commonplace, a chap called John Cura used to take sets of off-monitor photo's, so that people involved with a programme could keep a visual record of their work. Doctor Who wasn't unique in this respect: Cura took tens of thousands of photo's from all sorts of shows. Indeed, many of these telesnaps (as they're known) are now the only surviving material from many BBC programmes of the era. Unfortunately, the BBC itself did not always keep these photo's, and many of them now only survive in private collections. The Marco Polo telesnaps were discovered by researcher Derek Handley, in the possession of the series' director Waris Hussein. They represent six of the story's seven episodes (Hussein didn't direct one of the episodes), and represent a significant find for fans of the programme. The story is the only one from the show's first two seasons where not even a single episode survives, and it is widely acknowledged to be one of the series most ambitious productions. The photo's will be published in forthcoming issues of Doctor Who Magazine. You can see a few of the recovered images by clicking on the image above, or by clicking here. 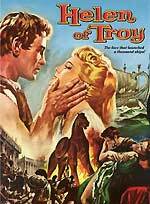 Warner Home Video will release the 1956 epic Helen of Troy on May the 17th, to coincide with the release of the Brad Pitt movie Troy. The film, which was directed by Robert Wise, stars Libyan actress Rossana Podesta, alongside stalwart Brits Niall MacGinnis, Cedric Hardwicke and Stanley Baker, as well as Day of the Triffids star Janette Scott and The 7th Voyage of Sinbad villain Torin Thatcher (not to mention Brigitte Bardot in a small supporting role). The film will be presented in 2.55:1 ratio, with a 5.1 Dolby Digital soundtrack. Bonus materials include three featurettes (The Look of Troy. Interviewing Helen and Sounds of Homeric Troy), and the theatrical trailer. RRP is £12.99. 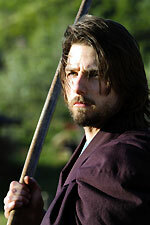 Edward Zwick's Oscar-nominated costume epic The Last Samurai is being released on DVD in the UK on May the 7th.The two-disc set will include a commentary track (by Zwick), several featurettes (Tom Cruise: A Warrior's Journey; Making an Epic: A Conversation with Edward Zwick and Tom Cruise; Edward Zwick: Director's Video Journal; From Soldier to Samurai: The Weapons; Imperial Army Basic Training; Silk and Armour: Costume Design; A World of Detail: Production Design with Lilly Kilvert and Creating Digital Reality), and additional scenes. The film will be presented in anamorphic widescreen format, with Dolby Digital 5.1 audio. RRP is £22.99. Warner Home Video is releasing a battalion of War movies on May the 31st, to coincide with the sixtieth anniversary of the D-Day landings. Details are a bit sketchy, but here's what I've got: D-Day To Berlin, Where Eagles Dare (2.40:1, Dolby Digital 5.1 audio, On Location featurette, trailer - probably identical to the version in the recent Clint Eastwood Collection box set), The Dirty Dozen (Making of... documentary TBC, trailer), Against the Wind (1.33:1, mono audio), Dive Bomber, They Who Dare (1.33:1, mono audio), Powell and Pressburger's terrific bomb-disposal drama The Small Back Room (1.33:1, mono audio), Aces High and Battleground. RRP is £12.99. Vincenzo Natali's labyrinthine science fiction thriller Cypher is being released on March 29th. Pathé are distributing the rental version, but the retail release is coming from VCI. Many retailers don't seem to be listing the bonus features that are on the retail version, which will include behind-the-scenes footage, deleted scenes, audio commentary, interviews and a Making of... featurette. Initial copies will be available in a limited edition holographic sleeve. RRP is £17.99. No technical specifications were listed in the press release, but it's believed that the disc will be presented in 1.78:1 anamorphic widescreen. There are more details about the 5th of April release of animated Spider-Man episodes. It will be a two-disc set that contains all thirteen episodes of the recent MTV series, which features the voice talents of Doogie Howser's Neil Patrick Harris, Ian Ziering and Lisa Loeb. 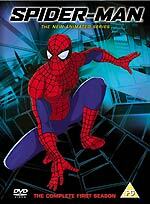 Spider-Man - The New Animated Series - The Complete First Season, as it's formerly known, will feature audio commentary; an outtake reel; spider-facts; 3 featurettes; The Making of Spider-Man; Building With Layers (multi angle); photo gallery; three pre-visualisation clips; and filmographies. The disc will feature a choice of DTS and DD 5.1 audio, and will be presented in 1.78:1 anamorphic widescreen. RRP is now unconfirmed, but the previously-listed RRP (£15.99) is now looking like a bit of a bargain. It's been confirmed that Columbia Tristar's forthcoming release of Betty Blue will be the 178m Director's Cut (formerly Version Integrale) version. The disc, which is due on the 29th of March, is exclusive to HMV. The film will be presented in anamorphic 1.66:1 ratio, with 2.0 English audio. Other Columbia Tristar news: the second volume of Jim Henson's The Storyteller has been pencilled in for release on May the 17th. Starship Troopers 2: Hero of the Federation has been moved back to the 10th of May. Stephen Fry's directorial debut Bright Young Things will be released by Icon Home Entertainment on April the 19th. The film, an adaptation of Evelyn Waugh's novel Vile Bodies, about beautiful young socialites in the 1930s, will be presented in 2.35:1 anamorphic widescreen, with Dolby Digital 5.1 audio. The disc will feature a commentary track by director, script-writer and producer Stephen Fry (which should be worth the price of the disc alone). The disc will also include a behind-the- scenes featurette, and a documentary about Fry. RRP is £15.99. 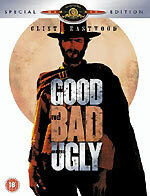 Warner Home Video will release four classic World Cinema titles on the 3rd of May. Leading the collection is Akira Kurosawa's 1985 adaptation of King Lear, Ran, which will be presented in 1.85:1 widescreen ratio, with stereo audio. The two-disc set will also contain Chris Marker's excellent 1985 documentary about Kurosawa and the making of the film, A.K. The other titles in the collection are Jean-Jaques Beineix's stylish thriller Diva, (which will be presented in 1.66 (apparently non-anamorphic) widescreen format, with mono audio); Orson Welles' Kafka adaptation The Trial (Le Procès), in anamorphic 1.66 ratio, with mono audio and Bertrand Blier's comedy Buffet Froid, which stars Gerard Depardieu, also in 1.66 anamorphic format, with mono audio. RRP for these titles is £12.99. Some retailers are quoting a higher RRP for Ran, so it might be worth waiting to see how things shake out. MGM's April line-up is headlined by the highly-anticipated Special Edition version of Sergio Leone's classic 1966 Western The Good The Bad and The Ugly. The film has been restored to its full (174m) length, with three missing scenes reinstated from the original Italian version, adding eighteen minutes to the film's running time. These scenes have been newly-dubbed by Clint Eastwood and Eli Wallach, since the sequences were only available with Italian audio. The film will be supported by more than an hour and a half of mouth-watering bonus materials: a documentary about the making of the film (Leone's West, 20m); one on the impact of Leone's spaghetti Westerns (Leone's Style, 24m); historical background documentary The Man Who Lost The Civil War (14m); Reconstructing The Good, The Bad and The Ugly (11m); The Secorror Sequence (animated gallery of missing sequences with stills and available footage (3m); Extended Tuco Torture [Le Bon La Brute Le Truano] Scene (7m); Il Maestro (on the creation of Ennio Morricone's score, 7m); Il Maestro Part 2 (audio featurette offering extended insight into Morricone's music, 12m); French trailer (including material not included in the finished version of the film) and four Easter Eggs (total 3m). The film will be supported by a commentary track by film historian Richard Schickel. The disc will be released on the 26th of April, more than two weeks before the seemingly-identical American version. No technical spec's for the UK version were released (MGM's press releases don't include them). The American version will have a 2.35:1 anamorphic transfer, with a choice of English Dolby Digital 5.1 or Italian mono audio tracks. The RRP is £19.99. 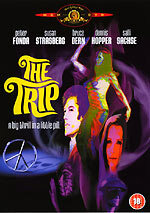 MGM's other April the 5th titles include Roger Corman's 1967 hippy classic The Trip and Richard Rush's 1968 head trip Psych-Out (These are available as a cheap double-bill disc in the US, but are being sold separately, for about three times the price, here). 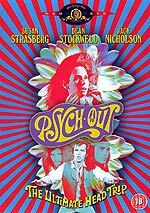 The Trip has an RRP of £15.99, Psych-Out is £12.99. Both discs will include a theatrical trailer. Ceri's back, and has very kindly updated the Offers page to include the latest offers from the online retailers. There are some great bargains around! Four more Taggart stories are being released by ClearVision on the 8th of March, marking the departure of one of the leading characters, and the introduction of the current line-up, which features new DCI Matt Burke (played by Alex Norton). The new titles are Volume 42 - Death Trap, Volume 43 - Fire, Burn, Volume 44 - Watertight and Volume 45 - The Friday Event. The four discs are available separately, with an RRP of £9.99 each, or in a box set with an RRP of £29.99. (The Incoming page has been updated to reflect this information). The press release says that the new set will include the fifty-minute behind-the-scenes documentary There's Been A Murder (which was broadcast on New Year's Eve, 2003), but it doesn't specify which disc it's on. Their website indicates that it might be split across the four discs. Not a great idea. 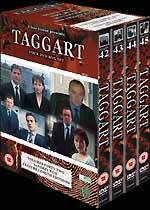 Incidentally, ClearVision's website shows that the first ten episodes of Taggart, including the pilot episode, Killer, are now available on DVD, on five double-bill discs! These aren't being listed by some of the mail-order retailers, so fans might want to investigate further. Film Score Monthly has released two new CDs, which means another Blue Ribbon day for soundtrack fans. The new title in their Silver Age Classics range is a double-bill of music by Oscar-nominated British composer Frank Cordell: Khartoum and Mosquito Squadron. An odd combination, but an interesting disc. Cordell's background as an orchestrator and conductor for the RAF made him a good choice for 1966's Khartoum, the story of General Gordon's efforts to evacuate 13,000 British subjects from a Sudanese town, before it was overrun by Islamic fundamentalists led by Mohammed Ahmed. The disc's comprehensive sleeve notes suggest that Cordell's William Walton-influenced score shares a similar tone with the more exotic cues from John Williams' Star Wars and Indiana Jones scores. 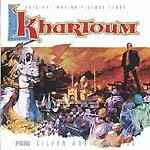 The disc marks the first CD debut of the original Khartoum LP re-recording, from quarter-inch stereo tapes. The original film recordings are lost. The 41m selection includes the previously-unreleased End Title / Exit Music, taken from the film. Cordell's rousing military-themed score for the British World War II drams 633 Squadron (1969) is previously unreleased. The master tapes are believed lost, and the disc has been mastered from quarter-inch tapes created for an aborted EMI album release. FSM's Golden Age Classics release is Alfred Newman's Academy Award-nominated score for MGM's Stewart Granger 1952 swashbuckler The Prisoner of Zenda. The rich, thematic score was a more lavish re-recording of Newman's original compositions for the 1937 David O. Selzncik version of the story, which starred Ronald Coleman. Sadly, as is the case with many of the classic MGM scores from the era, the original three-track stereo recordings only survive as mono mix-downs. (At least it still survives, unlike the 1937 recording!) The fifty-eight minute CD contains the complete score, including a couple of classical tracks. Both discs come with comprehensive sleeve notes, illustrated with colour stills and posters, and are limited editions of 3000 copies. FSM's discs are available from specialist soundtrack dealers, or directly from the magazine's website. If anyone's interested, HMV has added the Star Wars Trilogy set to their website, with a £44.99 price tag. You can find it here. Twentieth Century Fox Home Entertainment has very kindly sent over disc one of Master and Commander - The Far Side of the World. You can see the menus here. There's not much else to see, frankly, because the only extra on disc one is the I, Robot Sizzle Reel, a two-minute promo' featurette for the upcoming Will Smith film. I'm also able confirm that the disc has a choice of Dolby Digital (448kbps) and DTS (754kbps) audio tracks. A word of warning for anyone who's thinking about buying the Region 1 DVD of Hammer's One Million Years B.C. Against all expectations, Fox has issued the truncated American theatrical version of the film on disc, which is about ten minutes shorter than the version on Warner Home Video's UK DVD release. You can find a review of the new disc at www.dvddrive-in.com The Hammer DVD Guide has been updated with this new information. There are a few new bits and pieces for your delectation today. Firstly there's a new review, of Eli Roth's derivative backwoods horror film Cabin Fever. The UK DVD, from Redbus Entertainment, is substantially different from the Region 1 version. You can read the review by clicking on the sleeve image, left, or by clicking here. The disc is released on the 15th of March. RRP is £15.99. I've added a new programme to the Cult TV section: a guide to the first five episodes of the 1974 ATV series Father Brown, which stars Kenneth More as G.K. Chesterton's clerical sleuth. Click here, or on the Cult TV button, left, to check it out. It's a terrific series, and I heartily recommend it. Paramount will release the first season of Star Trek - Voyager on May the 3rd. The six-disc box set will include fifteen episodes, re-mastered and with Dolby Digital 5.1 audio. The set will include two discs of extras, featuring an hour and a half of bonus material including location and set tours, rare footage and outtakes, and cast and crew interviews. That's an hour and a half, split over two discs. Bonus material includes eleven featurettes: Braving The Unknown (Rick Berman, Michael Piller and Jeri Taylor discuss the creation of the series); The First Captain: Genevieve Bujold (rare footage of the original actress cast to play Captain Janeway); and Star Trek - The Experience (a tour of the Las Vegas attraction, which won't be part of the generic Region 1 release); Voyager: Time Capsule - Kathryn Janeway (a new interview with star Kate Mulgrew); Cast Reflections: Season One (interviews with cast members, including Buffy The Vampire Slayer's Armin Shimerman); On Location With The Kazons (Supervising Producer David Livingstone guides viewers on a tour of the location used in the Pilot episode, with behind-the-scenes footage); Red Alert: Visual Effects Season One; Launching Voyager On The Web (includes footage with Kate Mulgrew and Robert Picardo that was shot for a trivia game); Real Science With Andre Bormanis; Lost Transmissions From The Delta Quadrant (interview clips hidden as Easter Eggs) and a photo gallery. The sixth disc contains material exclusive to the Region 2 release: two classic episodes of the original series: Arena (Episode 19) and The City on the Edge of Forever (episode 28), and Deep Space 9 and The Next Generation DVD trailers. All this bonus material seems like a pretty desperate attempt to justify the £84.99 RRP (the same as most twenty-odd episode Star Trek season sets have been). If the second (twenty-six episode) season costs the same as the first one, pro rata, it will be a whopping £138!! Further Star Trek: Voyager sets will be released on the 5th of July, the 6th of September and on the 1st of November. The rest of the series will be released in 2005, on January the 3rd, March the 7th and May the 2nd. Other Paramount releases for May are less interesting: the depression-era drama The Education of Little Tree is due on on May 10th (1.78:1 anamorphic, 5.1 audio), and period drama Lady Jane, starring Helena Bonham Carter on May the 17th (Dolby Digital Surround, 1.85:1 anamorphic transfer; photo gallery). Both have an RRP of £15.99. Believe it or not, the Blake's 7 - The Complete Series One DVD box set is actually going on sale today, after numerous delays. Many people, myself include, have already received their mail-order copies, so it definitely exists! I've watched the first three episodes, and for the most part the episodes look pretty good. Up close you'll see some hints of excessive DVNR, though, with occurrences of 'floating-face syndrome' throughout. There is a spot of good news, though: the second episode, Space Fall, is presented uncut (previous versions had a very short cut made by the BBFC to one of the fight sequences). There have been a smattering of additions to the Incoming page (there was a sizeable update at the end of last week, so if you haven't visited it for a few days, it's worth doing so). New additions today include tentative dates for the next Blake's 7 DVD set, the BBC's House of Cards Trilogy box set, and Michael Palin's Full Circle.